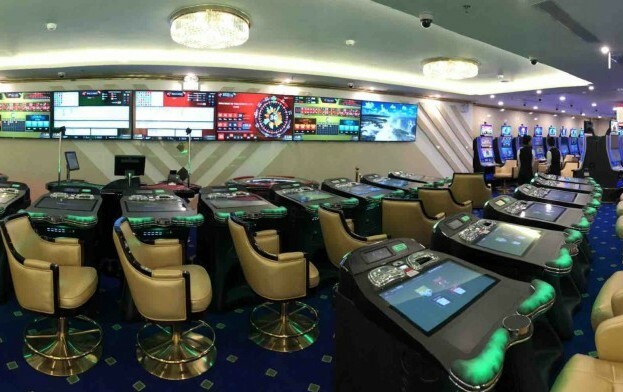 Interblock DD, a specialist in the supply of casino electronic table games (ETGs), says it has completed the installation of a 50-seat Diamond stadium at a VIP gaming club in the Ha Long Bay area in Vietnam. The VIP club – called Hollywood One Club – is located at the Muong Thanh Ha Long Hotel. Slovenia-based Interblock specialises in supplying fully- and semi-automated ETGs and video gaming machines for casinos, gaming arcades and gambling halls. “We are thrilled to provide the luxury and style of electronic table gaming to Muong Thanh Ha Long Hotel’s newest VIP club,” said Michael Hu, Interblock vice president of Asia, in a prepared statement included in a Wednesday press release. “The Diamond stadium creates a fantastic focal point within the area and adds to the unique, exclusiveness the club has to offer,” he added. Interblock’s Diamond product line of electronic table games offers a modular system, allowing casino operators to scale the size of the installation according to their needs. It is available in dealer-assisted, automated and video formats. The company said in the release that the Diamond stadium (pictured) at the Hollywood One Club offered one live-dealer table and two baccarat games, one automated roulette generator, and one automated sic bo generator. “All games are accessible from a single play station, meaning there is no need to cash out or change machines,” during play sessions, said the firm. LCD displays provided players with live video feeds of the games’ progress, statistics and trends, it added.